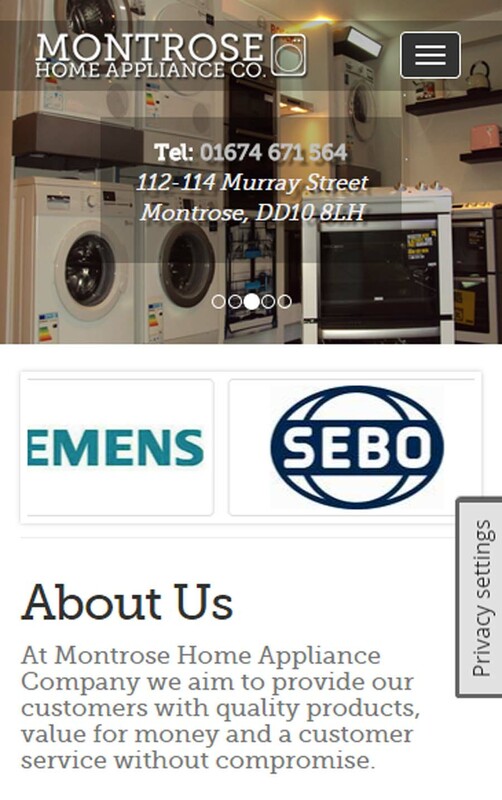 This project involved the development of a responsive website for a newly established business in Montrose selling white goods and other appliances. The business is enjoying a large number of customers already with an ever expanding customer base. We decided on a contemporary design making use of grey as the main colour of the branding. The homepage features a slider for images of the shop as well as a carousel showing approved brands. The site is fully client editable and allows content to be easily changed from an administrative back end. 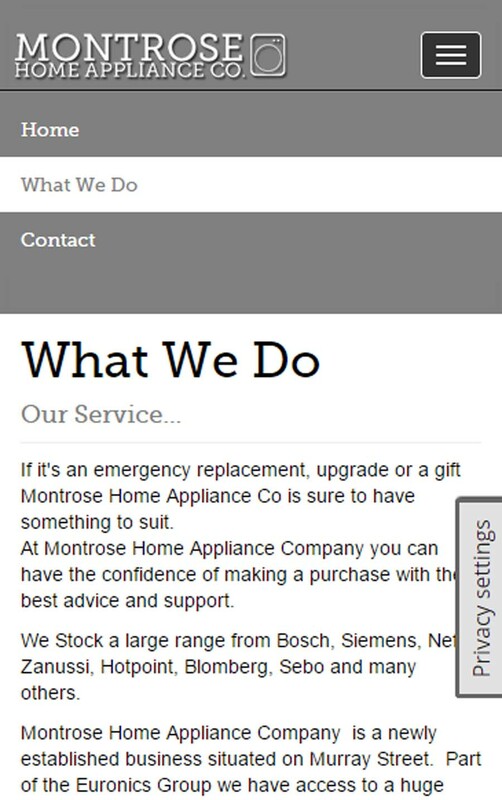 Go to Montrose Home Appliance Co.